This property is part of the Chamberí Apartments. A new development of elegant 1 and 2-bedroom apartments and penthouses for sale in a newly refurbished period building at the heart of Madrid. A new development of elegant 1 and 2-bedroom apartments and penthouses for sale in a newly refurbished period building at the heart of Madrid. 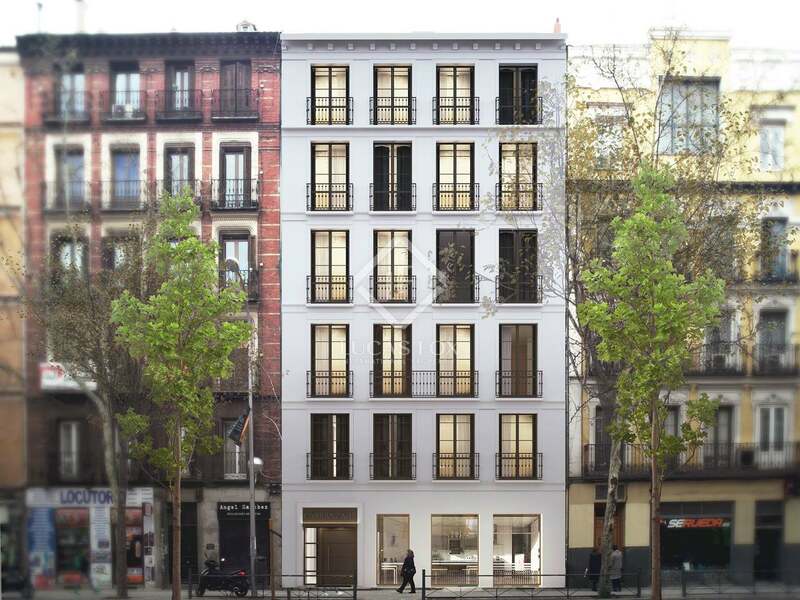 Located in the trendy Chamberí neighbourhood, a short walk from fashionable restaurants and Gran Via, Madrid's largest shopping street, we find this superb new development with 1 and 2-bedroom apartments for sale. This gorgeous new development designed by Molior architects, boasts 11 modern apartments at the heart of Madrid, in a period building with a wonderful turn-of-the-century façade. Each apartment has been completed to an excellent standard and has balconies with views of the tree-lined street and particularly impressive views of Madrid from the penthouse terraces. The development is currently under construction and is due for delivery in 2019. 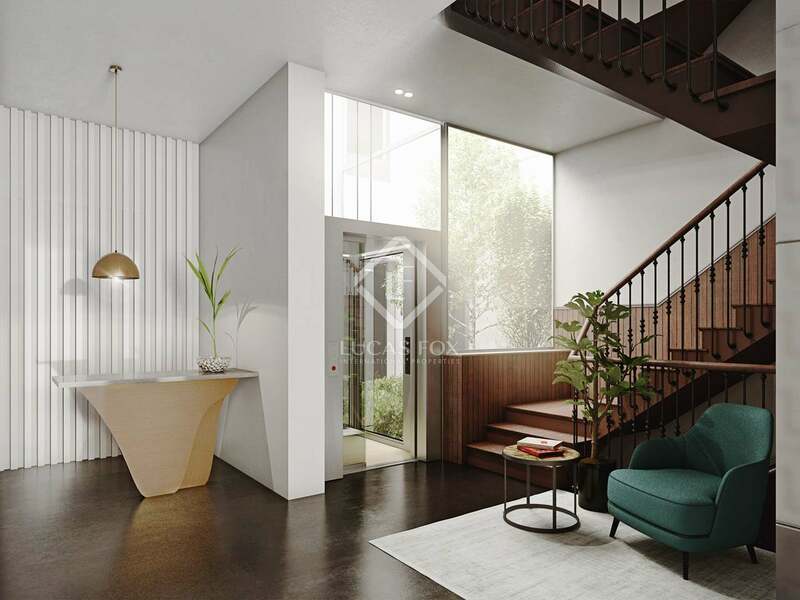 This new development is located in Chamberí, on the edge of the Malasaña neighbourhood, in one of the most central areas of the city, between the Bilbao and San Bernardo roundabouts. More specifically, it is found on Calle Carranza, just a few metres from Plaza de Colón, close to fantastic shops, trendy restaurants and the major attractions of Madrid city centre. Close to San Bernardo, Bilbao and Quevedo stations.